Cervical cancers can be kept in check just by eating your vegetables! 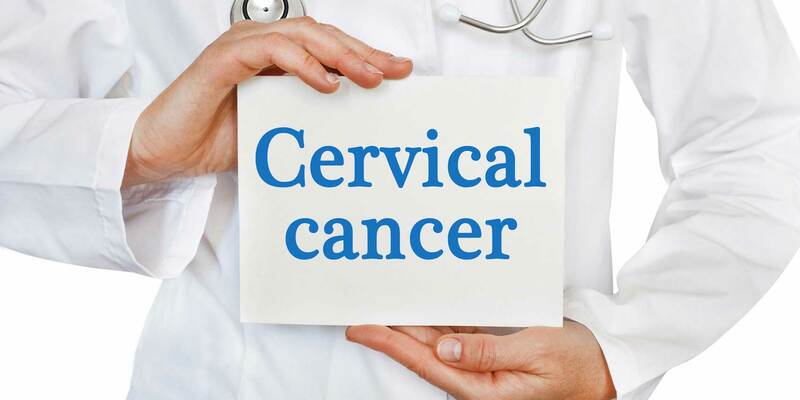 Believe it or not, all the protection you need from human papilloma virus (HPV)-caused cervical cancer is to “eat your vegetables,” as Grandma and Mother told us! Specifically, broccoli, cauliflower, cabbage, bok choy, Brussels sprouts, and other vegetables from the cruciferous (also called “brassica”) family. Cervical cancer (cancer of the cervix of the uterus) is caused by certain strains of the HPV virus. One early clue that cruciferous vegetables may reduce the risk of cervical cancer came from studies of laryngeal and/or vocal cord polyps, which are also caused by HPV viruses, specifically HPV-6 and HPV-11, two of the four main HPV types that also cause cervical cancer. Although frequently benign, these polyps can proceed to actual cancer, which can be fatal. In a 1998 report from Long Island Jewish Hospital, researchers noted a close connection between estrogen metabolism and the growth of HPV viruses that cause polyps in the respiratory tract. (Technically, this condition is termed “recurrent respiratory polyposis” or RRP). The researchers wrote,“Our results show an inverse relationship between the ratio of C-2 to C-16 alpha hydroxylated estrogens and the severity of RRP.”In English: the lower the “2/16” hydroxyestrogen ratio, the worse the RRP infection was; the higher the “2/16” ratio, the less severe the RRP infection was. In this early study, the researchers asked RRP sufferers to eat significantly more cruciferous vegetables. They found that compounds naturally present in these vegetables stimulated increases in the 2/16hydroxyestrogen ratio, which correlated with improvement in RRP. Other RRP research also reported that a natural substance found in cruciferous vegetables(indole-3-carbinol, or “I3C) can inhibit HPV growth. Researchers asked volunteers to take I3C to explore its effects on the RRP manifestation of HPV. Thirty-three volunteers were followed for an average of 4.8 years. Of the thirty-three volunteers, 33% had complete remission of RRP (yes, it disappeared! ), 30% had a reduction in the growth of the RRP (total 63%), and 37% had no response. In 1999, actress and singer Julie Andrews filed a lawsuit alleging damage to her vocal cords and loss of vocal quality during surgery for a polyp. If she’d eaten enough cruciferous vegetables to inhibit the growth of the HPV virus into a polyp, or perhaps had takenI3C or DIM to cause its regression, she might have kept her full singing voice! Perhaps even more importantly, cruciferous vegetables and/or DIM may prevent cervical cancer and even reverse it in early stages. In the late 1990s, Dr. Maria Bell gave a prepublication presentation at a meeting of the American College of Advancement in Medicine. This presentation was termed “a breakthrough” and “stunning” by some of the 250 physician-attendees—and for good reason. She referred to other research showing that mice with HPV-induced laryngeal papillomas had lower urinary 2/16 OHE1 ratios. When mice not infected with HPV were pretreated with I3C and then deliberately exposed to HPV, only 25% got papillomas. By comparison, 100% of mice not pretreated with I3C and then exposed to HPV suffered resultant papillomas. In other research, mice were given estradiol and then exposed to HPV. Those pretreated with I3C developed cervical and/or vaginal cancer in only 2 of 24 cases (8%). Those without I3C pretreatment developed cervical and/or vaginal cancer in 19 of 25 cases (76%). Dr. Bell’s own study was conducted on women with cervical intra-epithelial neoplasia (CIN), an abnormal growth of cells on the surface of the cervix caused by HPV infection. CIN is not fully-developed cancer and is usually curable by local surgery after detection by a Pap smear. Although CIN can remain stable or even regress on its own with no treatment, a small percentage of CIN progresses to become outright cervical cancer, usually cervical squamous cell carcinoma (SCC), if not treated. Thirty women with stage 2 or stage 3 CIN were enrolled in the study. (Stage 1 is barely beginning; stages 2 and 3 are further local progression of the cancer with perhaps local lymph node involvement; stage 4 is when the cancer spreads to another organ.) Diagnosis as well as follow-up involved Pap smears, a more comprehensive visual examination technique called colposcopy, and biopsies. Ten women took placebos, ten took 200 milligrams daily of I3C, and ten took 400 milligrams daily of I3C. The urinary 2/16 ratio was checked at the beginning of the study and at four weeks. (This ratio changes after only a few days of I3C ingestion.) After twelve weeks, the women were checked with colposcopy again, and a biopsy. Four out of eight (two dropped out of the research) in the 200 milligrams daily I3C group experienced complete regression (yes, the stage 2 or 3 cancer was gone! ), four out of nine (one dropped out) in the 400mggroup experienced complete regression (again, the stage 2 or 3 cancer was gone! ), while none of the women in the placebo group experienced complete regression of their CIN. If the women whose cancers regressed continued taking their I3C and eating cruciferous vegetables, their cancers wouldn’t return. For Even Better Results . . .
As good as these results were, they could theoretically have been even better if the more active form of I3C—DIM—had been used instead. While I3C is a molecule found in plants, especially cruciferous vegetables, in the human stomach it is “condensed” by the action of normal stomach acid into “dimers” (two of the same molecules stuck together) and “trimers” (three of the same molecules stuck together). The major “dimer” of I3C is “di-indolylmethane” (DIM), which is the active form of I3C in human bodies. Whenever testing finds a low or even low-to-normal 2/16 urinary estrogen test, I always recommend eating cruciferous vegetables four times per week, with retesting in just one month. (As noted above, this ratio can be changed rapidly.) If the 2/16 normalizes, all that needs to be done is continue eating lots of cruciferous vegetables. If it has not normalized, the addition of sufficient DIM will always normalize it. As eating cruciferous vegetables every day has in the past been associated with causing hypothyroidism, always check with a physician skilled and knowledgeable in natural medicine before exceeding four times weekly. There’s No Need for HPV Vaccination! Dr. Bell and her associates made a valuable, breakthrough contribution to cervical cancer treatment. In addition to the particulars of the type of cancer and its treatment, they’ve shown that an understanding of the biochemistry of this particular cancer can lead to an effective and entirely nontoxic naturaltreatment. Even though it’s not effective in all cases, there will be significantly fewer women with this particular cancer subjected to mutilating surgery, radiation, and chemotherapy. Let’s hope—but let’s not hold our breath—that other researchers working on other cancers will increasingly turn to researching nontoxic natural treatments! In the meantime, do as Grandma said: eat your vegetables! If you eat right, exercise, and take your vitamins, minerals, and botanicals, you’ll reduce your risk of ever needing breast, cervical, or prostate cancer treatment, nontoxic or otherwise. Auborn K, Abramson A, Bradlow HL, Sepkovic D, Mullooly V. Estrogen metabolism and laryngeal papillomatosis: a pilot study on dietary prevention. Anticancer Res. 1998 Nov-Dec;18(6B):4569-73. Jin L, Qi M, Chen DZ, Anderson A, Yang GY, Arbeit JM, Auborn KJ. Indole-3-carbinol prevents cervical cancer in human papilloma virus type 16 (HPV16) transgenic mice. Cancer Res. 1999 Aug 15;59(16):3991-7. Bell MC, Crowley-Nowick P, Bradlow HL, Sepkovic DW, Schmidt-Grimminger D, Howell P, Mayeaux EJ, Tucker A, Turbat-Herrera EA, Mathis JM. Placebo-controlled trial of indole-3-carbinol in the treatment of CIN. Gynecol Oncol. 2000 Aug;78(2):123-9.